The Sanderson MacLeod Brush Innovation Center (BIC) offers companies looking to collaborate access to industry leading brush designers, engineers, and innovation teams. Sanderson MacLeod’s 60 years of brush making experience, guarantee brush development projects are completed quickly, on budget and ready for large-scale production. 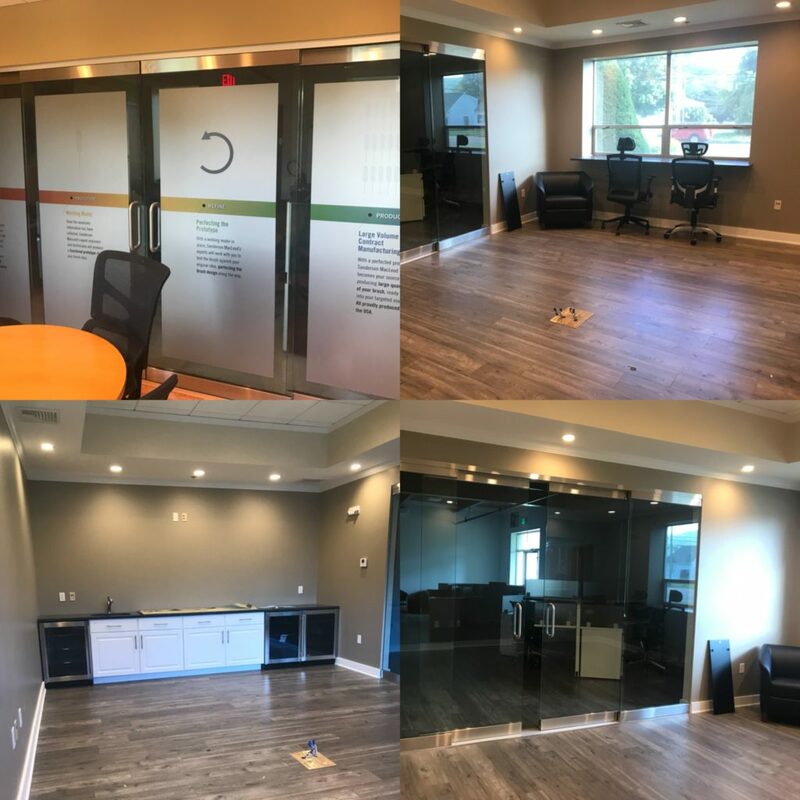 Sanderson MacLeod announced today the expansion and anticipated August 1st, 2018 opening of their newly enhanced Brush Innovation Center (BIC). After nearly six months of construction, the new center will offer clients seeking innovation assistance the ability to turn concepts into producible products faster than ever before. Enhanced prototyping tools include state of the art video and communication systems, libraries of proprietary material, 3D printing and sampling machines. In addition, an expanded conference room, cafe, and dedicated office space are expected to offer a one of a kind experience for those traveling to the Palmer, MA facility. Originally opened in 2015 with the goal of dramatically decreasing brush development time, the Sanderson MacLeod Brush Innovation Center (BIC) provides a one-of-a-kind experience catering to clients committed to innovation. The BIC also includes a collection of dedicated sampling equipment, allowing for real-time prototyping of a brush or applicator product. Using Sanderson MacLeod’s expert engineering staff, changes and improvements can be made until the product is perfected. Finally, blueprint and quality control documentation are presented to the client, providing an unparalleled level of production-ready, “go-to-market” confidence. For many companies, including those overseas, the new Brush Innovation Center’s ability to host global video conferences is a tremendous advantage. Using large screen displays and the latest video technology, companies can benefit from the BIC’s capabilities, without the need to travel to the Palmer, MA location. For those who work at the BIC in-person, the expansion includes additional meeting space, dining facilities, Quality Control validation stations and rapid prototype printing. The expansion of the BIC allows Sanderson MacLeod to continue to be a global leader in twisted wire brush manufacturing. Sanderson MacLeod is a contract manufacturer specializing in domestically-produced twisted-in-wire products, including twisted-wire medical brushes, firearm cleaning brushes, cosmetic brushes and general purpose cleaning brushes. Established in 1958, the company employs approximately 120 people and operates a modern 137,000 square foot facility in Palmer, MA.